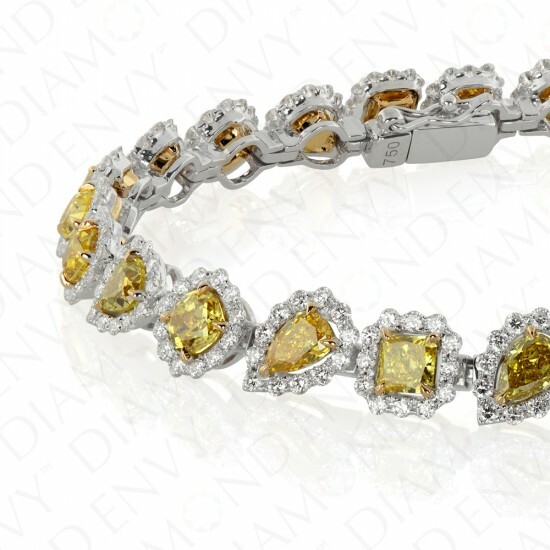 Made for the yellow diamond enthusiast, this 18K two-tone gold wonder is a substantial fancy yellow diamond bracelet. It features 26 VS1-SI1 Fancy Yellow diamonds in pear shapes and cushion, oval and radiant cuts, 7.18 ct. tw. Each yellow diamond is framed by a diamond halo of F-G VS2-SI2 accent diamonds, totaling 313 pieces, 2.52 ct. tw. 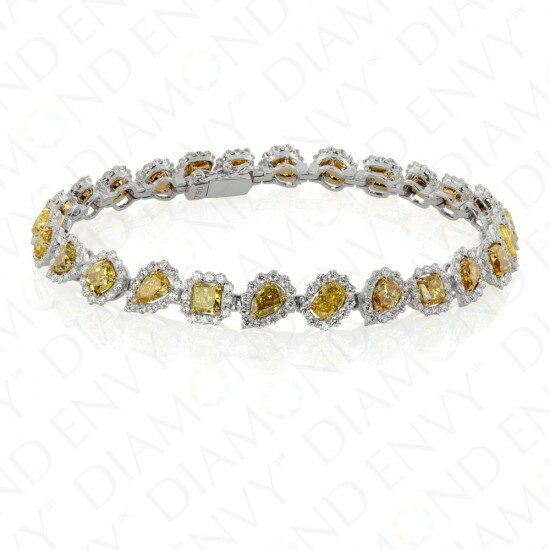 The natural yellow diamond bracelet closes with a secure double safety lock. Gold weight: 17.01 grams. 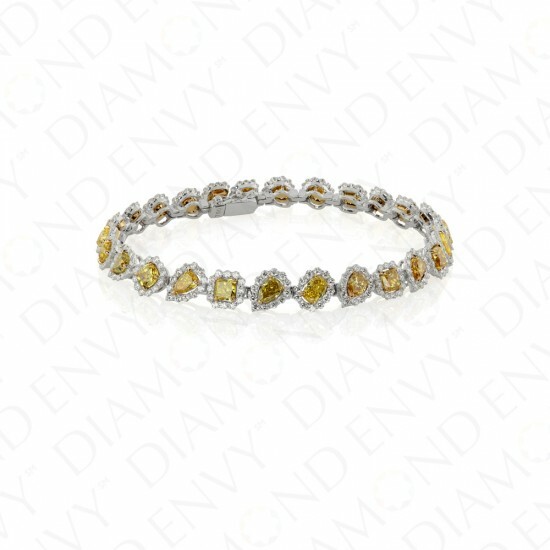 This natural colored diamond bracelet is house-graded.